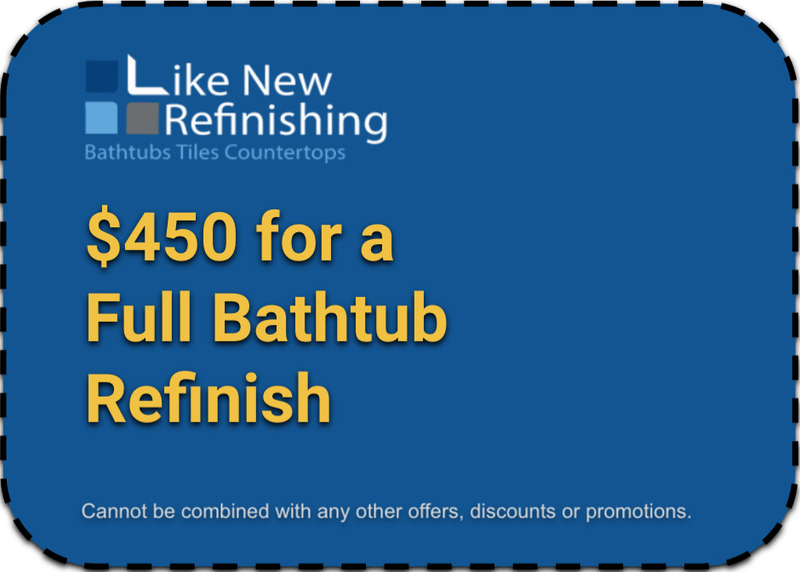 Please mention our current online special below when inquiring about your Denver bathtub refinishing project, or please feel free to use the 'Print this Page' page button to print in the promotion and bring it in with you to your refinishing consultation. How long will my Bathtub Refinish will last? What to do when my bathtub gets a little scratch? Waterborne coating We've Gone Green! Why replace, when you can refresh? Affordable way to make your bathroom look new again! With our high tech performance and products we can repair almost any porcelain, fiberglass, ceramic, or acrylic bathtub as well as add more than 10 years of useful service life to your bathtub or ceramic tile surround. And our bathtub process finishes feature such high quality coatings that most people will not be able to tell the difference between a bathtub that has been refinished and a brand new bathtub.